The festival of Lights – Deepavali is just two days away. It rained heavily in Chennai and in many parts of Tamil Nadu – it is a depression, a surge in the current wet spell in southern states is expected with a depression forming over Bay of Bengal which is likely to intensify into a cyclonic storm, the Indian Meteorological Dept said today. The depression is expected to turn into a cyclonic storm and cross the Tamil Nadu coast between Karaikal and Chennai by tomorrow night. 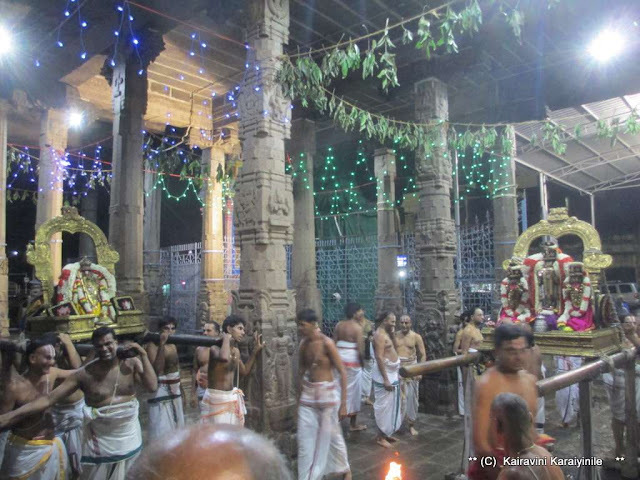 Under its influence, rainfall is expected in most parts of Tamil Nadu. The Met dept. of Sri Lanka too mentioned of the depression in the Bay of Bengal located about 350 km to the Northeast of Jaffna. IMD Press release reads : Depression over Bay of Bengal and Extremely Severe Cyclonic storm ‘Megh’ over Arabian Sea. 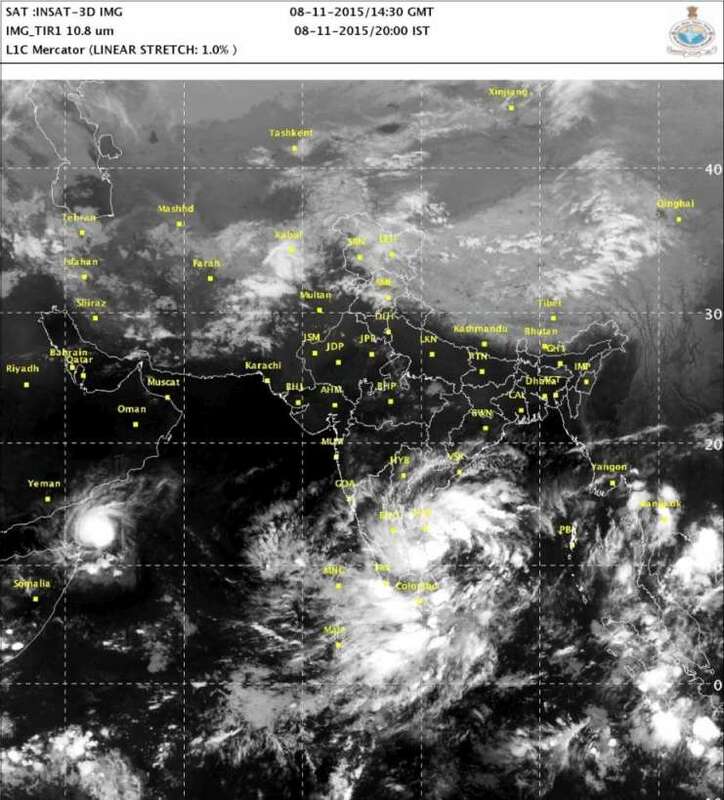 A depression has formed over southwest Bay of Bengal and lay centred at 0830 hours IST of today, the 8th November, 2015 near latitude 10.7° N and longitude 83.7° E, about 460 km southeast of Chennai, 440 km east-southeast of Puducherry and 480 km east-northeast of Jafna (Sri Lanka). It would move westnorthwestwards, intensify into a Deep Depression during next 24 hours and subsequently into a Cyclonic Storm. 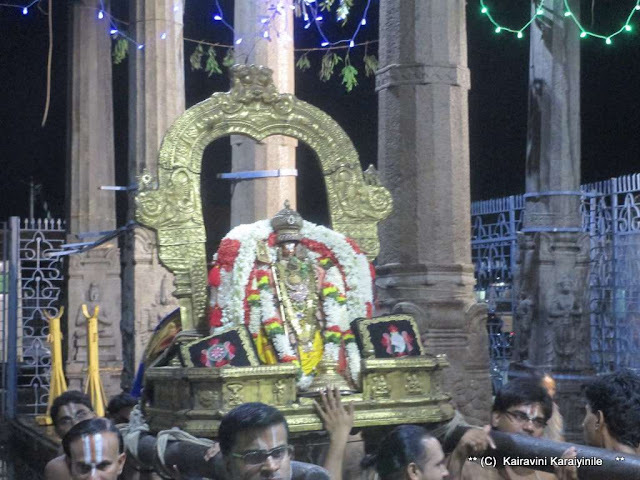 It would cross Tamil Nadu coast between Karaikal and Chennai close to Puducherry around 9th midnight. In every Thennacharya religious place, we offer in our daily prayers – at the conclusion of Nithyanusandhanams that Sri Rangam should flourish, the lovely earth encircled by Seas should flourish, the order of services established by Sri Ramanujar should prosper and that our Acharyar Sri Manavala Mamunigal should prosper for yet another hundred years. 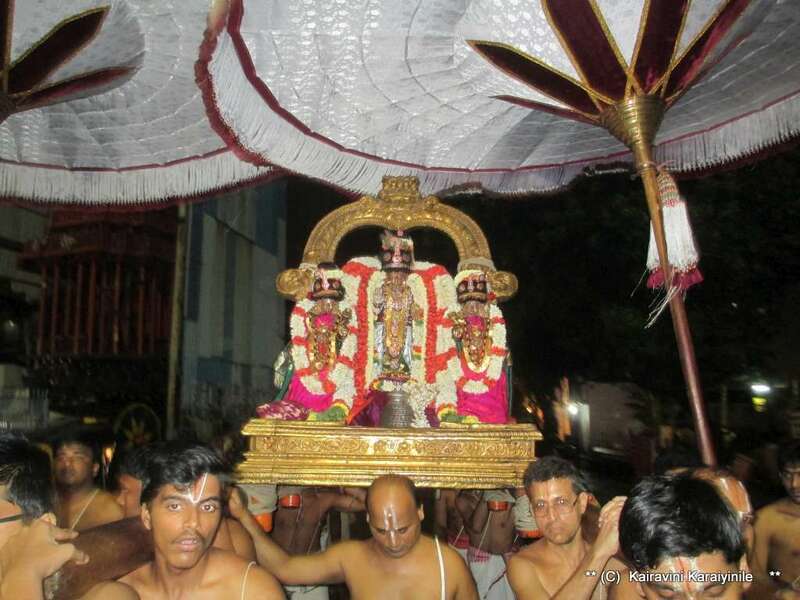 Today [8th Nov 2o15] is day 3 of Sri Manavala Mamunigal Uthsavam – today is Hastha Nakshathiram too. 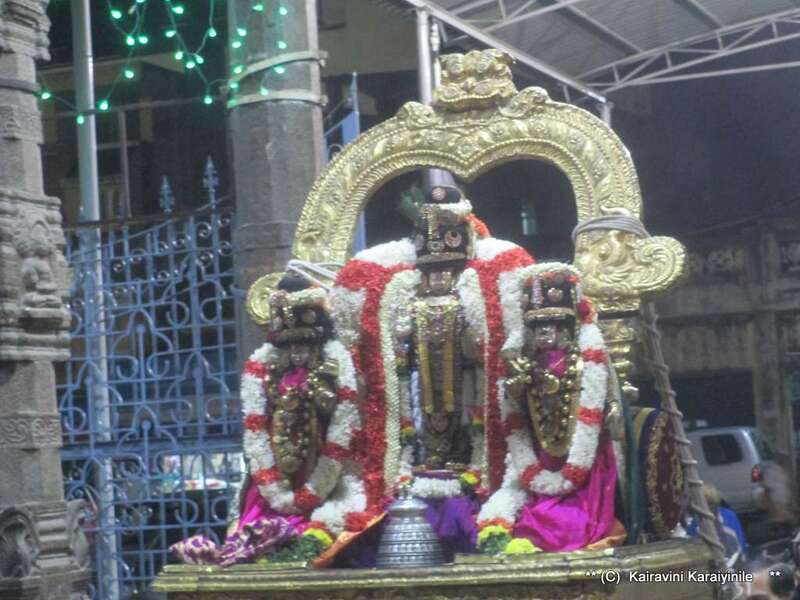 There was some respite from the sky and around 07.30 pm, Sri Mamunigal had purappadu with Sri Varadha Rajar at Thiruvallikkeni. 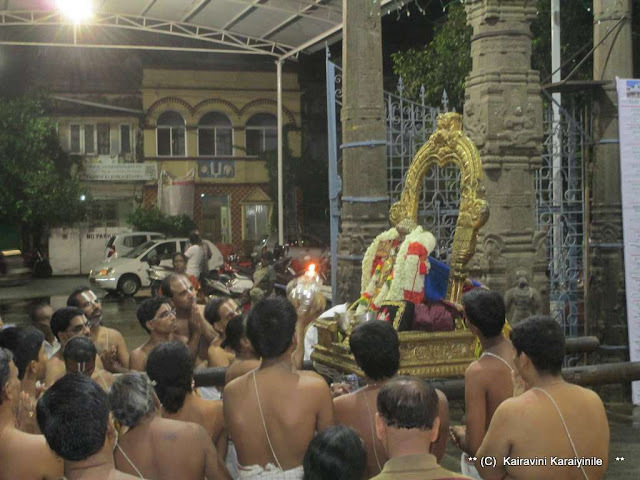 Here are some photos of the purappadu.